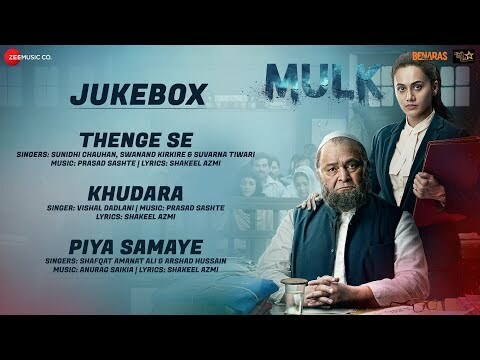 Khudara Lyrics from Mulk - The song is sung by Vishal Dadlani, composed by Prasad Sashte and written by Shakeel Azmi. The film stars Rishi Kapoor, Taapsee Pannu, Prateik Babbar & Rajat Kapoor. Yeh main aa gaya kahaan..